Interested in learning more about what’s happening at DELTA? The 2016–2017 DELTA Annual Report is available online! This year’s Annual Report provides examples of how the units in DELTA work together to improve the user experience for both students and faculty. Whether we are redesigning a course, leading a workshop or supporting enterprise-level technologies, DELTA continues to leverage our unique strengths with a focus on quality. On the highlights and stories page, you can see the progress we have made toward our strategic goals. Stories include course design examples, WolfWare tools updates, outreach and engagement progress, Online and Distance Education success and examples of DELTA’s culture of collaboration, transparency and efficiency in all of our programs and operations. 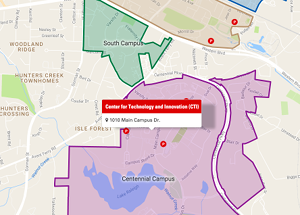 Be sure to check out our reworked By The Numbers page to see how DELTA uses its budget to support technology-enhanced learning and Online and Distance Education programs. Also included in this year’s report is a letter from Senior Vice Provost Tom Miller outlining how NC State and DELTA leverage our unique strengths to enhance the educational experience of students. 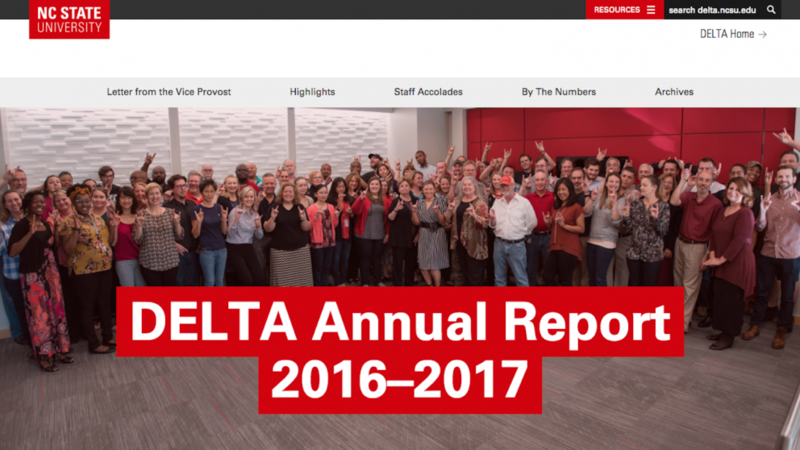 Read more about our staff member’s activities and achievements as well as how DELTA is working to improve student success at NC State in the 2016–2017 Annual Report.